Since our company was established, we have been making efforts at technical development, quality maintenance, and quality improvement mainly for various types of pressure gauge, and our products are favorably used by major electrical machinery manufacturers and different users. Our principal products are as follows. For the other products and special specification products, contact us for information. 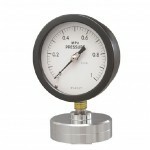 This pressure gauge is provided with glycerin or silicone oil for the purpose of improving durability for vibrations of industrial pump, compressor, hydraulic device, etc. and the measured value can be read quickly by preventing the pointer against fluctuation. 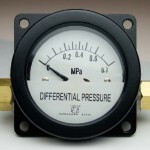 This differential pressure gauge can measure micro differential pressure in the high-pressure oil in tube. 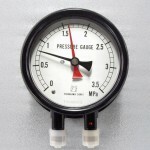 This pressure gauge can be widely used to monitor the pressure before and after a filter. 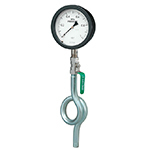 This pressure gauge is provided with a square cover by changing the front cover of the ordinary type pressure gauge into a square shaped cover. 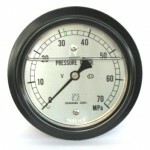 This pressure gauge is installed on a panel of control unit for use. The structure protects the indicated part with a diaphragm that isolates the inflow of a fluid or gas in the gauge when measuring the pressure of that fluid or gas. 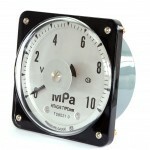 To enable your pressure gauge to provide many years of accurate measurement and display, we offer several accessories. 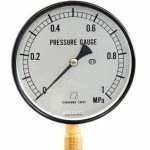 Please use these to avoid inaccurate measurement or premature failure of your gauge.